The police arrested three people, including two unauthorized immigrants, during a major drug bust at a North 10th Street house on Thursday, according to police director Jerry Speziale. Police charged city residents Aneuriz Morel, 37; Marco Cintron, 49, and Jose Castillo, 37, with numerous drug offenses. 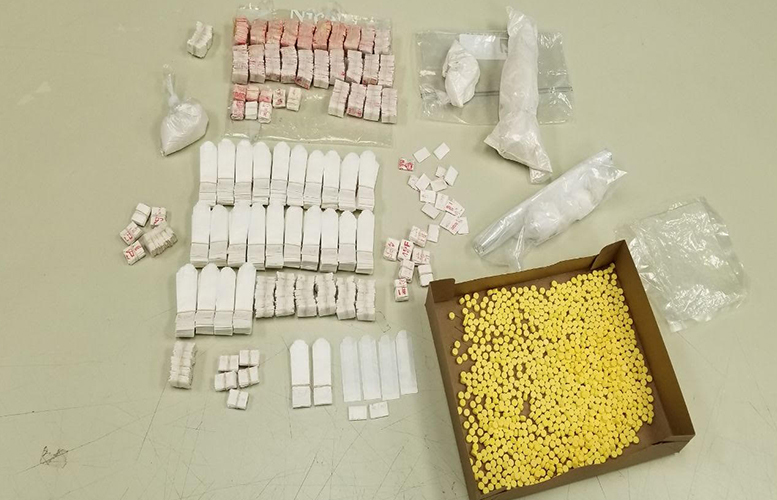 Authorities seized 3,133 glassine envelopes of heroin, 992 ecstasy pills, 31 bags of heroin weighing 263 grams, and 1 bag of cocaine weighing 85 grams during their raid at 134 North 10th Street at around 1:45 p.m.
Morel resides on the second floor of 134 North 10th Street, police said. Police received information there was ongoing drug activity coming out of the house. Morel and Castillo, both in the United States without immigration paperwork, were each charged with eight drug offenses, including maintaining a drug production facility. Cintron was charged with heroin possession, police said. Police notified the U.S. Department of Homeland Security of the two alleged drug dealers, Morel and Castillo, for possible deportation. I don’t know if the wall would help in this case. How this is where we are.